Happy Veteran’s Day! If today’s screed seems familiar, it’s because I was reviewing what I wrote on this holiday last year and I decided I couldn’t improve my thinking so I’m letting the post loose on you all once more. I hope you share my thinking, both about the post and the day. Back to the usual raving tomorrow. 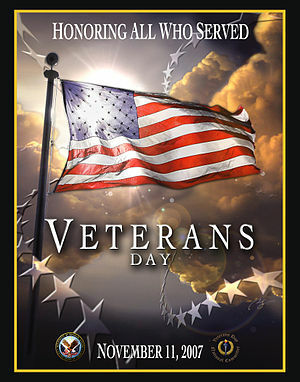 It was Veteran’s Day over the weekend here in the U.S., a day when we honor the service of all of our military veterans. It takes place on 11/11, a date chosen because it coincides with the formal end of World War 1. Silly humans – we thought that was the war to end all wars. We’re celebrating the holiday today and many folks are taking the day off (Federal holidays are almost always on Mondays) so I’ll be brief. 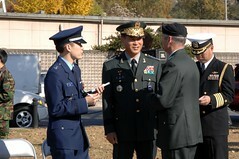 All of my social media streams were filled yesterday with people thanking veterans for their service and rightfully so. Putting your country and your fellow citizens ahead of your own wants and needs is a noble act. While it’s not on the same level, how we behave in business can mirror that action. My inelegant analogy is that we need to put customers and their needs ahead of our own. Shaving a few cents off of cost or improving our margins to the detriment of the customer experience or product is selfish. Maybe we need to think of our customers as our superior officers. When they say something, to echo the Charge Of The Light Brigade, ours is not to reason why. We need to hear them and act. 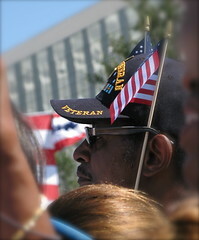 To all our vets, thank you for your service. To my fellow businesspeople, let’s look to the standards of excellence and selflessness demonstrated by our vets as we go about our lives – lives which others made possible! Today is Veteran’s Day here in the US, a day where we honor those who served for their love of country and willingness to sacrifice for the common good. This day became a national holiday here in honor of the end, in 1918, of World War I when the Allies and Germany signed an armistice. Originally Armistice Day and established in honor of WWI vets, it was renamed later on to honor those who served in subsequent conflicts in Korea and WWII. My favorite vet – my Dad – was one of those WWII airmen who flew missions in Europe, so thanks Dad and I’m glad you made in home safely (otherwise, what would these folks be reading?? ).